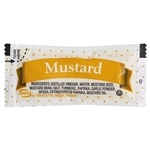 As the restaurant supply superstore, we take pride in carrying every different brand of mustard made by mankind for restaurants, cafeterias and concession stands. 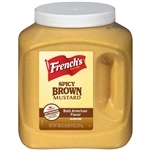 Mustard is a great condiment for topping off foods such as hotdogs, sausages, bratwurst, pretzels, and other foods. 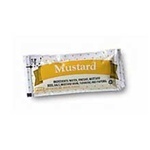 Mustard is normally served in packets, paper portion cups, or plastic squeeze bottles in most restaurants. Chinese restaurants also use mustards in various asian dishes to flavor them and spice them up. My personal favorite is dijon mustard. 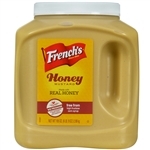 Zatarains Creole Mustard Squeeze Bottle - 12 Oz. Kraft Grey Poupon Country Dijon Mustard - 48 Oz. 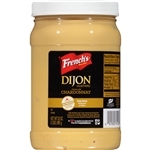 Kraft Grey Poupon Classic Dijon Mustard - 48 Oz. Kraft Grey Poupon Dijon Mustard - 24 Oz. Kraft Grey Poupon Dijon Squeeze Mustard - 10 Oz. Kraft Grey Poupon Mustard Dijon General Purpose Sauce - 0.25 Oz. 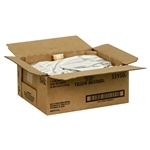 Ground Mustard - 1 Lb. 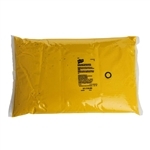 Buy wholesale Mustard for your restaurant and food service cooking needs in bulk. Food patrons love mustard as a condiment on many foods.